Get ready to start your own incredible, amazing life…right? Alice McKinley is standing on the edge of something new—and half afraid she might fall off. Graduation is a big deal—that gauntlet of growing up that requires everyone she’s known since forever to make huge decisions that will fling them here and there and far from home. 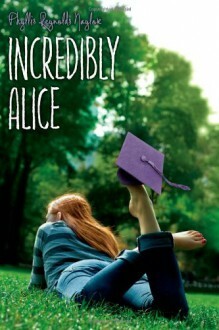 But what if Alice wants to be that little dandelion seed that doesn’t scatter? What if she doesn’t have the heart to fly off into the horizon on the next big breeze? And what if that starts to make her feel like staying close to home means she’s a little less incredible than her friends—and her boyfriend Patrick? Sometimes the bravest thing you can do is be honest with yourself—and sometimes the most incredible thing you can do is sneak a little fun into all this soul-searching. I started reading these books in high school in an attempt to understand the 'normal' girl. They helped. They also made me glad I wasn't.